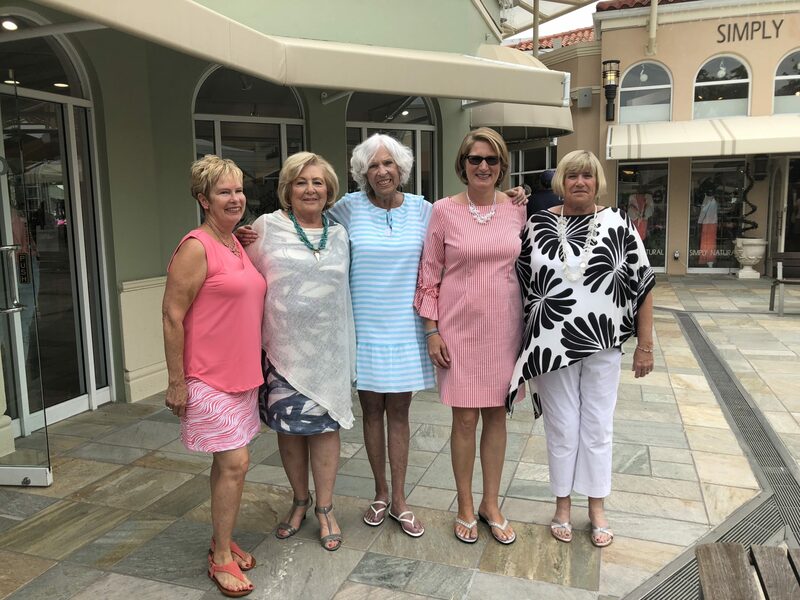 The Village Shops had a fun, fashion-filled weekend celebrating Mom! 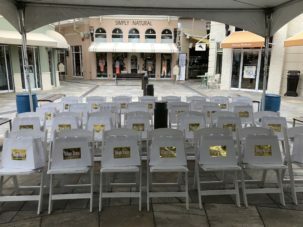 On Saturday, May 12, guests gathered, grabbing seats near the stage, and peeking into their complimentary Village Shops’ goodie bags full of surprises! Among the chatter, lively music was playing through the speaker, readying the audience for several exciting dance performances. At 12:30pm, Dance Arts by Maria opened the show, wowing the crowd with their stellar choreography. The dancers made their way across the stage, adding in twirls, lifts, and jumps. 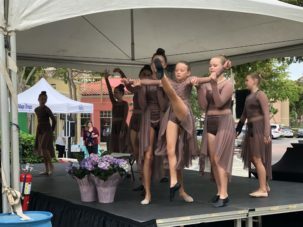 As Dance Arts by Maria ended their last performance, the audience loudly cheered and applauded. 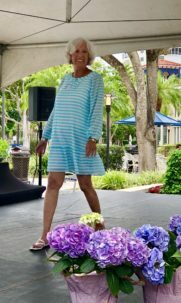 At 1:00pm, the lovely American Cancer Society Event Lead and the Celebrate Mom’s emcee, PJ Bimonte, took the stage. PJ took a moment to educate on American Cancer Society and their incredible mission to save lives, celebrate lives, and lead the fight for a world without cancer. He then introduced the five brave and beautiful models/cancer survivors. 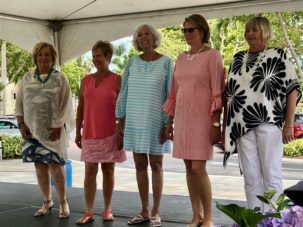 The ladies came out one by one, modeling two looks from the spring and summer collections at Chico’s, J&K Collections, Panache, Patchington, and Sara Campbell. The crowd “oohed and aahed” as the models showed off the fashion forward looks and the stylish accessories. At the end of the show, the ladies came out all together one more time, encouraging guests to shop their looks to support a worthy cause. All weekend long, The Village Shopsdonated 10% of sales from collected receipts of American Cancer Society supporters to the organization. 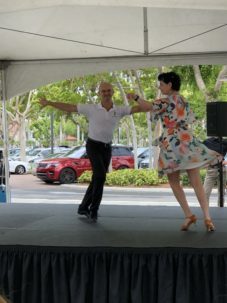 At 2:00pm, the amazingly talented Fred Astaire Dance Studio demonstrated the dance styles of Salsa, Rumba, and more. The instructors were all smiles as the beat picked up and their footwork glided across the stage. Fred Astaire then turned it over to the audience to dance along. 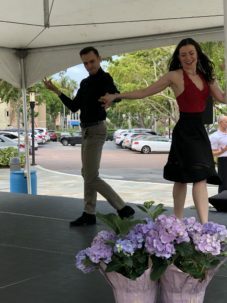 The audience learned the step-by-step moves to a number of popular songs. 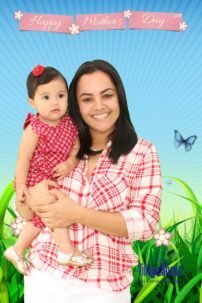 All the while, families stopped by the photo booth to capture complimentary printout and email photos with mom. The framed photos captured a very happy Mother’s Day on the Bay! 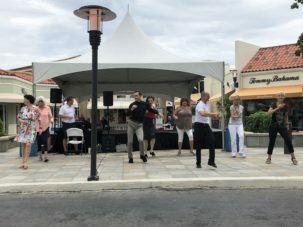 Thank you to all who joined us for another successful event at The Village Shops. We hope you will also spend Father’s Day with us for our Dad’s Day Out event on June 16th. Enjoy an antique car show and complimentary photos with Dad!